8 Weirdest Endings That Left Us Saying "Huh?" It's never easy saying goodbye. These 8 weird, terrible endings didn't know how to present a denouement, and left us (and everyone else) just saying "Huh?" to the screen - often in anger. Because The Escapist tries to be better, I'm aiming for 8 games with completely jarring, tonally inconsistent endings. There might be worse ending out there, but these eight are plain baffling, off-putting, or completely at odds with audience expectations. Sometimes it's good to surprise, but these 8 endings prove that being different doesn't always mean being better. The ending to Spy Fiction is amazingly ridiculous. The whole game is an under-cooked Metal Gear Solid bite with terrible gameplay, but the ending is the cherry on this crappy sundae. Not only do you have to play the game twice to earn the "true" ending - the ending itself is completely ridiculous. A former friend (who died) turns out to be 1) alive 2) a double agent and 3) your long-lost brother. Sure, all of that is stupid, but the true kicker has nothing to do with the in-game events or cinematics. No, the real "Huh?" moment occurs while the credits are rolling. 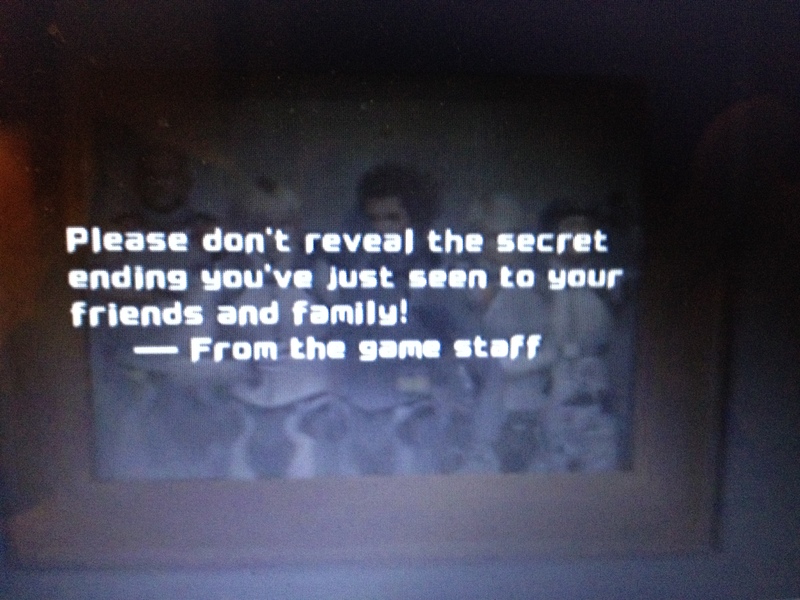 A message appears with the following text; "Please don't reveal the secret ending you've just seen to your friends and family!" - From the game staff.